One Response to "Are Reinhart and Rogoff Right Anyway?" 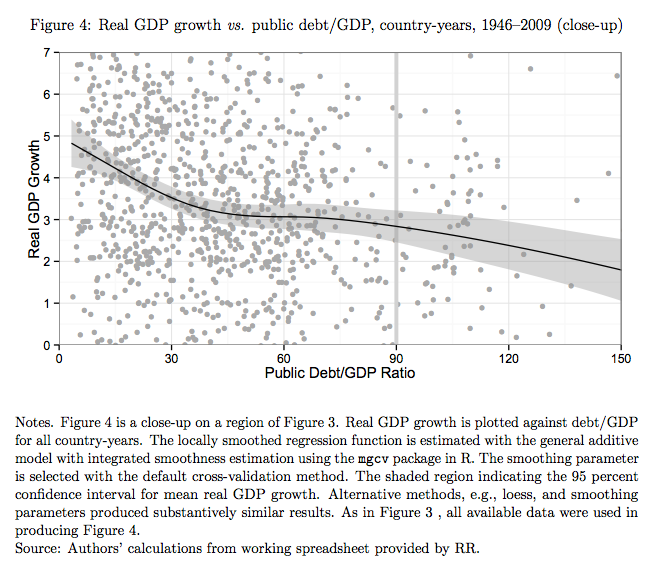 What is the country with 6.5% growth rate and debt of 150% of GDP? It must be doing something right. (look at upper right hand corner). The opposite side must be true too, the lower left hand corner. The graph resembles an ouigi board; read into it what you wish. Herndon and Ash did an interview at the Real News Network, TRNN.org. But there doesn't seem to be a broad red warning line at the 90% of GDP mark.